Embellish furniture and home décor pieces with this smooth, dimensional acrylic paint. 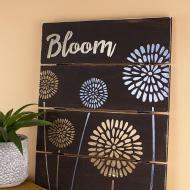 The heavy-bodied paint makes building texture easy and works effortlessly through a stencil. Use glitter or other accents to enhance pieces. Americana Decor Texture is available in 10 beautiful colors selected for home décor. Metallic dimensional paint available in 14 shimmery colors to make projects shine. 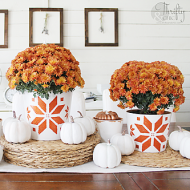 Use a stencil to get the perfect design in just a few easy steps. Get inspired with our craft and DIY project ideas made with Texture.